ATV Rentals Include . . .
Embark on a Moose Safari and stay with us! Just $94.99pp/do. Reserve your spot today! Call us at 800-792-2598 or email us. Stay any two nights get the third night free! Offer from March 15- May 25th. Reserve now! ATV trails lead directly to the Inn. 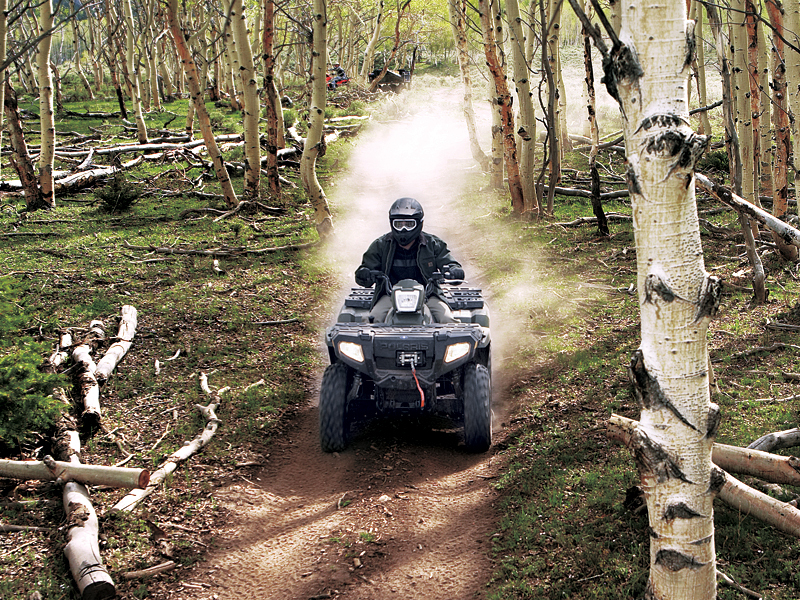 Get out and explore the backcountry on one of our NEW ATV rentals. The Moosehead Lake Region is prime territory with the largest undeveloped forest in the northeast. Trails exist on both the east and west side of lake, but for the best experience, hire one of our guides to find those secret spots. We provide superior quality rentals at the best prices for your complete satisfaction! 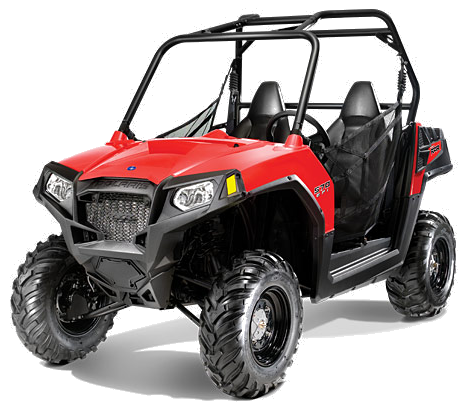 Our ATV's are professionally maintained by authorized and manufacturer trained mechanics. The new UTV Side by side off road bikes have been exploding in popularity in the last few years. This year we are exited to offer the 2014 Polaris Rzr 570. This unit is a blast to ride! A fun comfortable and easy to drive off trail vehicle. The Fuel efficient 570 motor is quick and efficient. The ride is improved with a great performing suspension to help absorb those bumps on the trails. Be sure to make your reservations soon! Check out our new ATV! 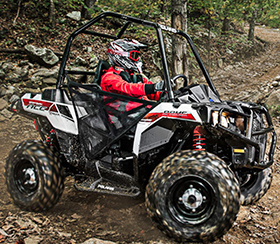 The new sporty ACE from Polaris is an easy to drive all terrain vehicle. Good control comfortable suspension and on demand AWD 4x4. Get the best of both worlds! Explore and enjoy the hidden Jewel of the Northeast - the Moosehead Lake region - by ATV and stay at the Moose Mountain Inn. Enjoy the ultimate in convenience: book your Stay & Play Package, then arrive to find your room(s) and your ATV(s) ready and waiting. The Moosehead Lake region has some of the best trails and most beautiful views and vistas in all of New England. Our trail system is immense and with hundreds of miles of trails in Maine alone! The Moosehead Lake region is located in the heart of the Maine Mountains. 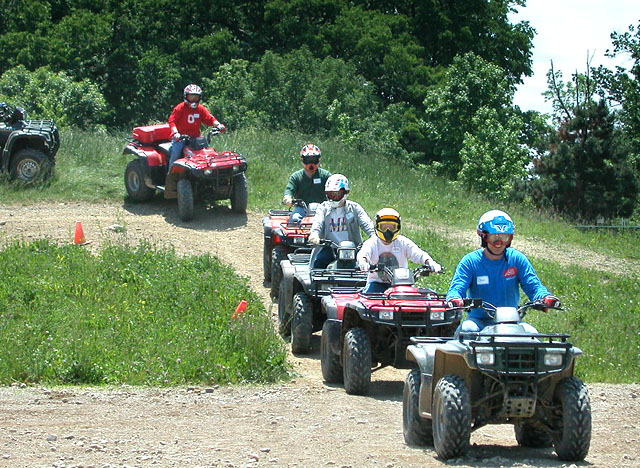 Book a room with your ATV and receive a 15% package discount!